For centuries the city of Bloodcove has controlled access to the invaluable Vanji River, and for nearly as long, the Aspis Consortium has controlled Bloodcove. If the Pathfinder Society is to move the equipment and personnel it needs into the Mwangi Expanse, it needs a reliable means of smuggling resources through this unforgiving settlement operated by its enemies. 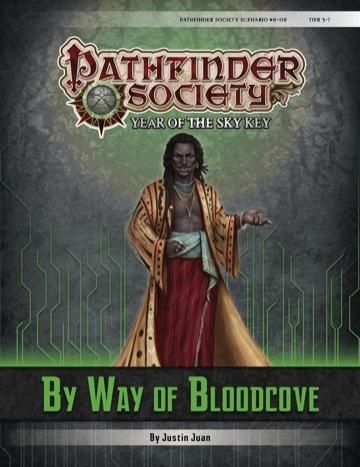 It’s up to the PCs to establish a backdoor through Bloodcove—all without being caught by Aspis agents. Content in “By Way of Bloodcove” also contributes directly to the ongoing storyline of the Exchange faction. 1 fighter, 1 barbarian and someone from exchange.